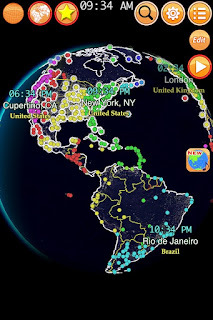 Clocks of Cities is available in AppStore. What time is it? Cities around the world use various clock time by timezone. When New York is daylight, but Tokyo is in night. 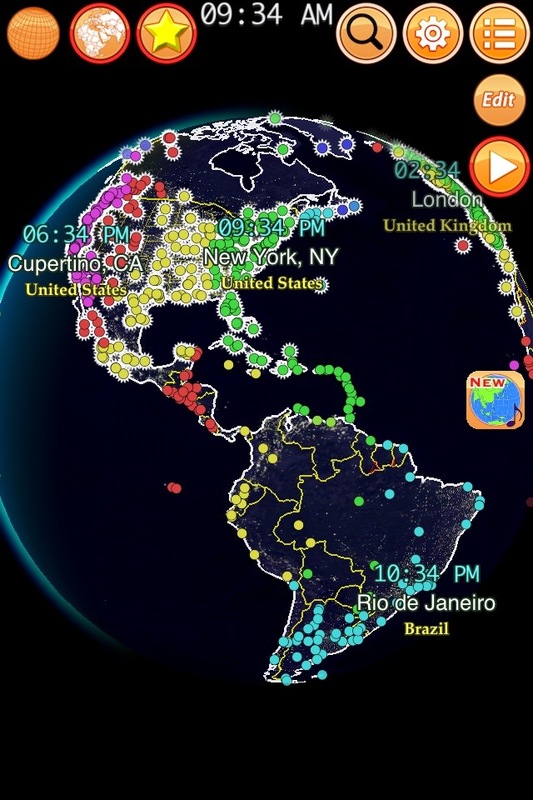 This app show cities on globe-earth and their clocks. 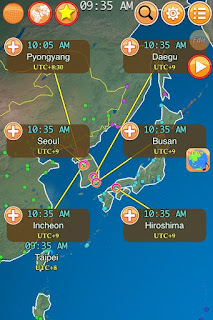 Some city-clock will be adjusted in DST (Daylight Saving Time) period. 現在幾點呢? 全球的城市因為太陽照射的差異而有不同的時區. 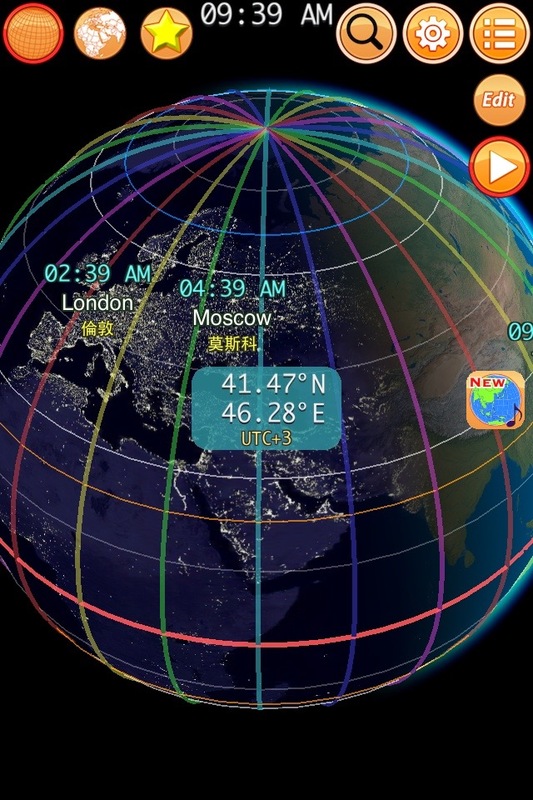 當紐約是白天的時候, 台北卻是晚上. 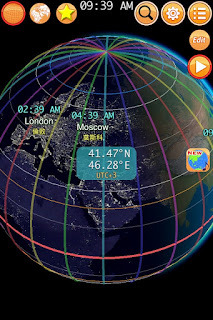 這個 app 將完整的呈現世界各地的時間, 使用日光節約時間的城市也會正確地顯示. 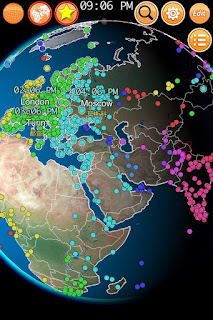 Android version is available now.